The Big Taste of Fitness Columbus is coming up February 3 at VUE. The Beauty Boost is giving Columbus a big taste of fitness. Launched 3 years ago, The Big Taste of Fitness Columbus offers 25-minute back-to-back workouts of all styles in one room and another room full of health and wellness experience stations, complimentary manicures, a braid bar, and more. 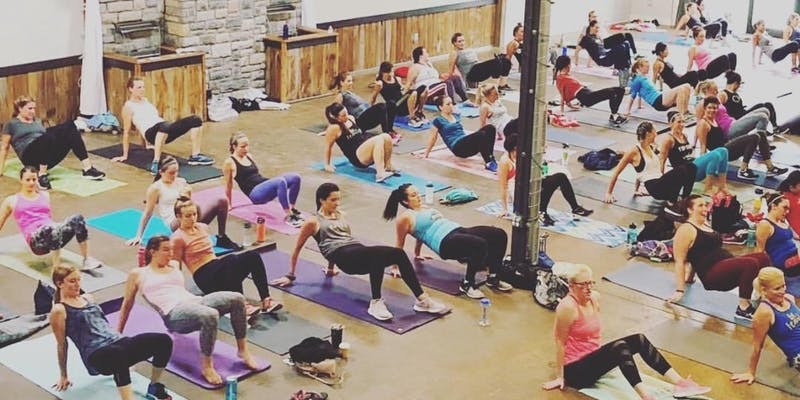 According to Rachel Kerr, Owner of The Beauty Boost and Founder of The Big Taste of Fitness Columbus, the idea behind the event is to bring the city’s fitness community together, without competing against each other. “It’s a way for someone to try a lot of styles of workouts that they may have been intimidated to try on their own, or it’s just a great day for girlfriends to get together and indulge in wellness,” says Kerr. What started out as an offering of The Beauty Boost has since turned into an event that has sold out every year it’s been hosted. For 2019, The Big Taste of Fitness is being held at VUE in the Brewery District on February 3 from 9 am to 1 pm. Kerr says that when she started the event 3 years ago, she wanted to bring something that wasn’t offered in Columbus. “It’s as unique as we are specific with the studios and instructors we work with, the amazing fit bag we offer, the manicure and braid bar, and the type of people we attract,” says Kerr. At the event you’ll see tons of different experiences such as mini massages, juice samples, local shopping, manicures, braids, and plenty of fitness. Tickets for the event are sold out, but you can get reserved tickets by emailing Kerr at rachel@thebeautyboost.net. To learn more about The Big Taste of Fitness Columbus, sign up for the weekly email at thebeautyboost.net, email her at rachel@thebeautyboost.net, or sign up for a membership.